RJAM’s subcontracting segment is in the digital age. 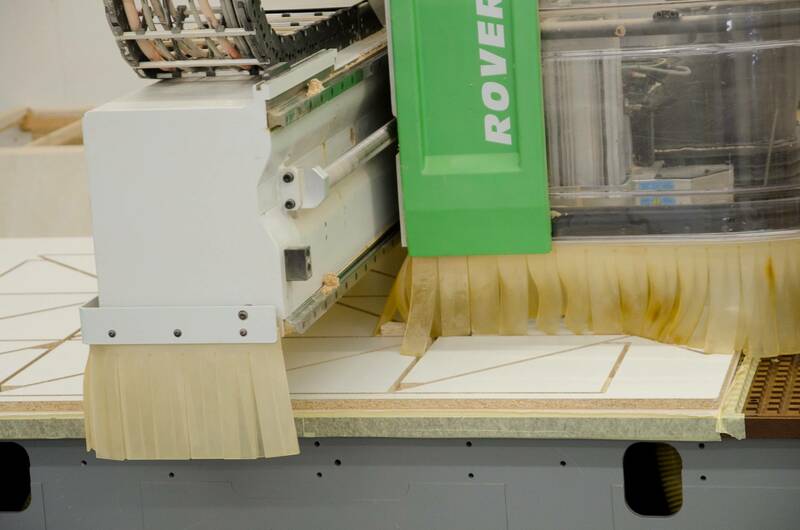 Whether it’s for cutting wood, plexiglass, fabric, vinyl, leather or foam, our three numerical control (CNC) centres are excellent work tools that help increase our efficiency standards. With these CNCs, we are able to cut more accurately, consistently and quickly. We use our CNCs for our customers’ custom upholstery projects. 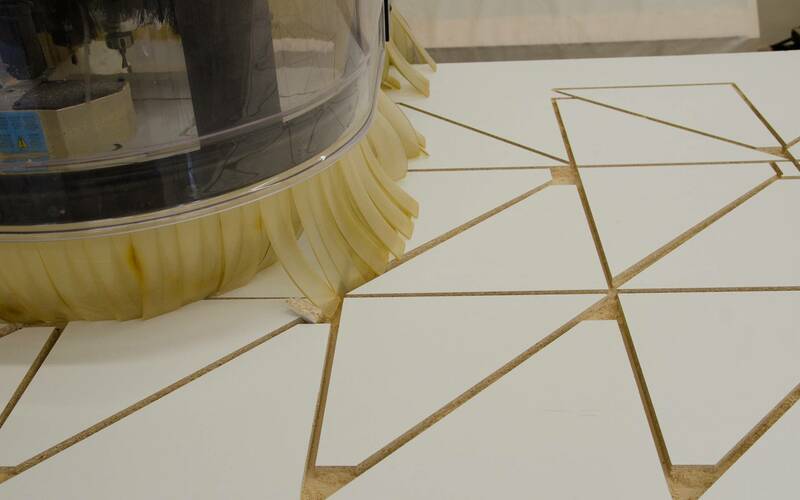 Our technological capabilities and skills are also available for subcontract cutting work. True to form, we are always ready to try out a new product, to push the conventional limits of our CNCs. Your good ideas are always welcome. We believe that anything is possible – it’s just a question of finding the right solution. Over the years, we have developed expertise in the development and fabrication of several types of products. Whether for turnkey fabrication or for subcomponents alone, RJAM can fulfill your requirements. Here are a few of the products we’ve developed over the years: armrests, leg rests, ergonomic seats and back sections, acoustic panels, anti-reverberation panels, divider panels, bulletin boards. We also provide subcontracting services that correspond to the reality of small- and medium-sized cabinet makers for the development and fabrication of all types of ergonomic benches and banquettes. 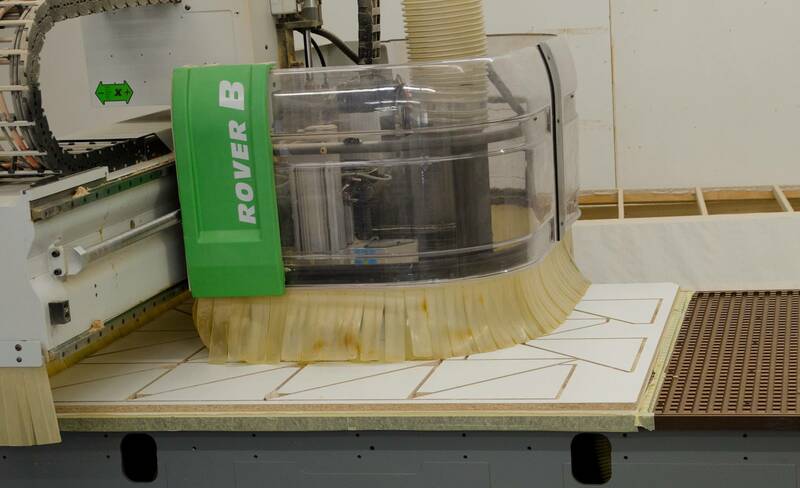 Subcontracting with our numerical control cutting centre for wood. RJAM can take on any project, big or small. We offer you a pattern-scanning service using your plans or actual pieces. The processing of cut lists is done by using a simple worksheet created in Excel. For example, the rate is set at $75 per list, no matter how many pieces there are, and includes labels affixed to each of the parts, if needed. 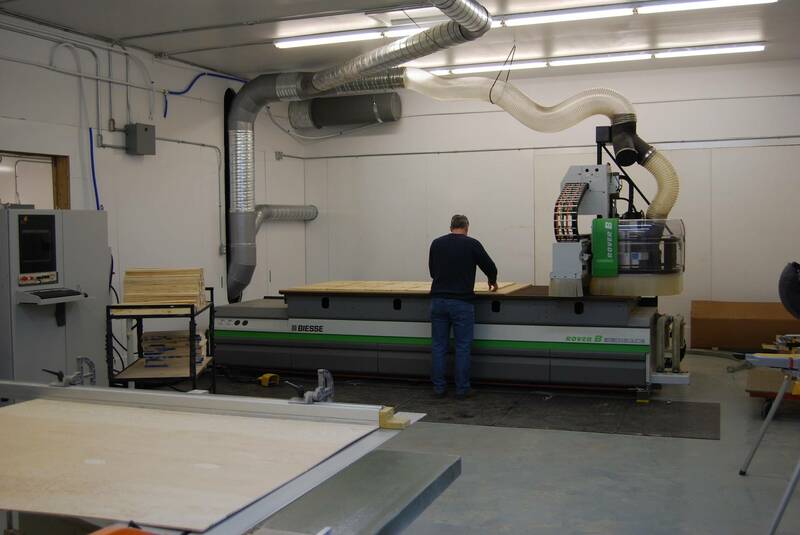 Wood can be cut on our CNC up to a size of 50’’x 12’, cantilevered. We are also able to deal with larger sheets, which we simply do in 2 cuts. We work with several types of knives and router bits mounted asymmetrically for greater versatility. Our bits range from 2.5 mm to 14 mm and our knives, from 3 mm to 25.4 mm. 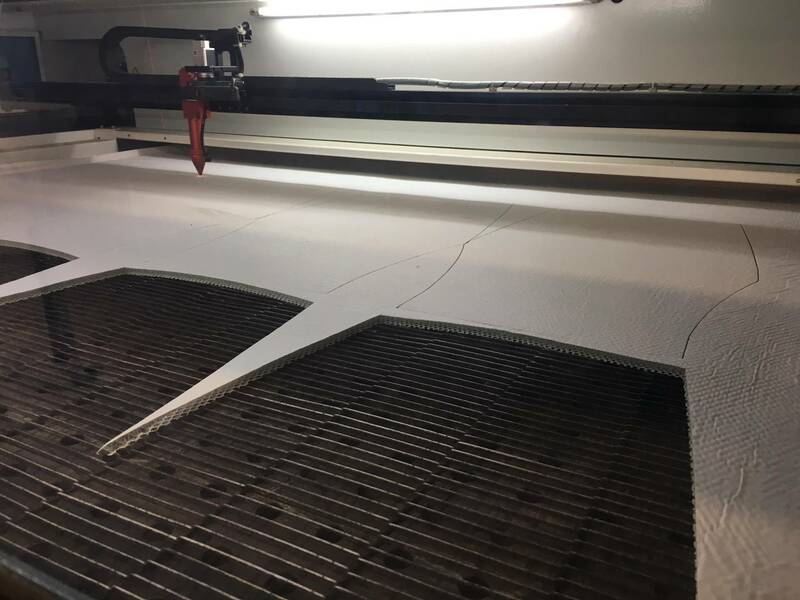 Subcontracting with our numerical control laser cutting centre. 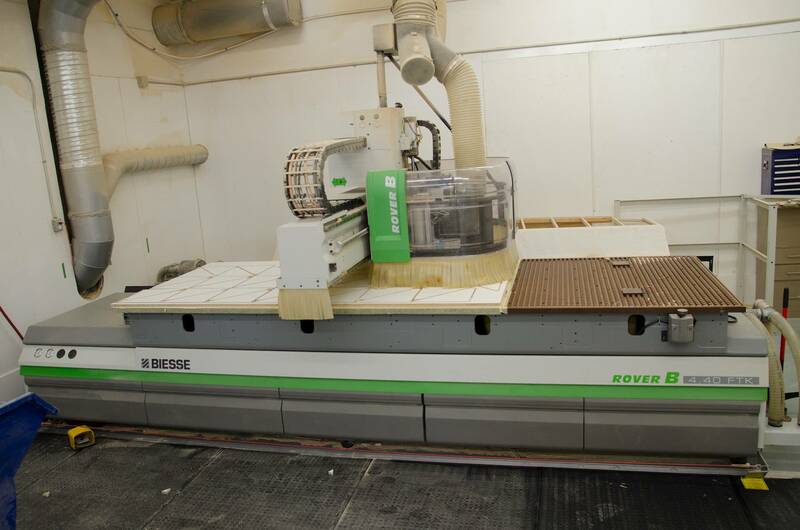 We offer cutting services from our three numerical control laser cutting centres equipped with automatic unwinders. This new technology reduces raw material loss to a minimum. With unrivalled precision (+-0.1 mm), the laser-cut pieces will save you precious time during assembly. They can cut holes of any diameter – as small as 0.1 mm. They are designed to cut rolls having a width of up to 61 inches. They allow the possibility of working with one or two rolls at a time, so we can also cut two thicknesses at the same time. Contact us to submit your project. Since 1957, RJAM’s mission has been to offer excellent customer service by efficiently meeting its customers’ needs. Beyond simply delivering a service or product, the RJAM team aims to help its customers turn their projects into successes. Our team can offer you advice and partner with you in the development of new concepts that will improve the comfort, ergonomics, design and cost of your cushions. The technological capabilities of our three CNC (numerical control) centres greatly increase our efficiency. We take a visionary approach, constantly pushing the boundaries for the continued development of our company. RJAM is dedicated to providing you with exceptional customer service and even exceeding your expectations. When we work for a client, we do it the exact same way as it was for us. You can rely on our team in order to have good quality products and services. There’s always a bit of each of these people in your project. Their expertise and dedication are in the middle of our day-to-day success.